Rail union RMT today confirmed 48 hours of strike action on Virgin Trains East Coast as the union executive registered it’s disgust at the ever-increasing contempt being displayed to our members on board trains, on stations and in travel centres by the employer. 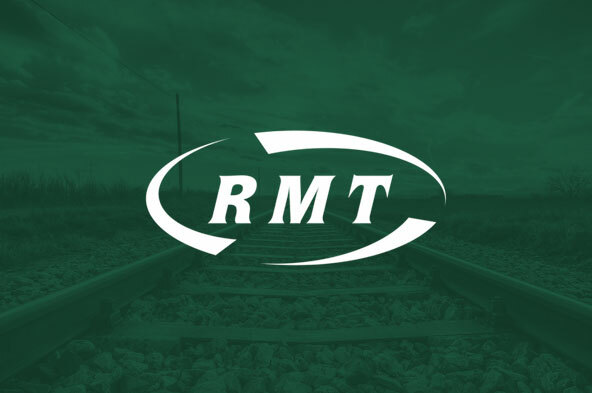 RMT has sought an explicit clarification on the company’s position on the retention of the role of the guard, in the form of seeking a specific assurance from the employer that the new role of train manager will retain the safety critical roles and training currently held by train guards. The only response the company has offered is to repeat the vague and non-committal mantra of “within our discussions we have confirmed that the safety critical duties of the guard will remain on the train”. This mealy-mouthed form of words gives no reassurance to RMT members in the front-line nor any protection from the possible introduction of Driver Only Operation. To simply state that the duties will remain on the train but not to specify who will actually carry them out constitutes a meaningless statement with no assurance contained whatsoever. Consultation over widespread on-board changes has been going on for over a year. RMT has told the employer that their proposed changes will not work. Despite this, the company has implemented the changes from March 31st, with no agreement with the union. The new service is not fit for purpose and has turned into a chaotic shambles, with untrained staff forced into roles and the whole train crew left to work it out for themselves. Passenger complaints have soared and the employer has responded on its official Twitter feed by disgracefully blaming staff sickness for problems that are wholly down to Virgin/Stagecoach. The employer is now also planning to force through dramatic changes to stations and travel centres. RMT has made it crystal clear that the union will not stand by and accept the spread of chaos to other vital departments within the company. In light of all the above, RMT’s executive has agreed to instruct our members at VTEC (except engineering grades) to take 48 hours of strike action by not booking on for any turns of duty scheduled to commence between 00.01 hours on Friday 28th April 2017 and 23.59 hours on Saturday 29th April 2017. “It is simply appalling that Virgin East Coast have refused to give the most basic assurances on the safety-critical role of the guard on their trains continuing into the future. Instead they have sought to fob us off with meaningless statements that are frankly an insult to the intelligence of our members who are charged with maintaining safety on-board these inter-city trains. “On top of that chaotic, operational changes have been bulldozed through and there is now an additional threat to stations and travel centre staff that leaves our members on a knife-edge. “This contemptuous attitude has unleashed a tidal-wave of anger at the grass roots and the action we have agreed to put on is simply a reflection of the disgust and frustration at months of ducking and diving by Virgin/Stagecoach.